The mighty river is the lifeblood of the entire southeastern flank of Europe. Cultures flourish, empires fall and ideologies shatter on its shores. The cyclists hurtling down the Danube track near Baja barely catch a glimpse of a small black plaque with gold lettering beneath the road bridge. It is a stern and thought-inspiring message, an illustration of how the Danube is woven into the complex spread of history and emotion, loyalty and betrayal that which graces the soft beds and rough horse-hair mattresses of central and southeastern Europe. Charles IV of Hungary was also Charles I, Kaiser Karl, the last Emperor of Austria. His hurried departure from Hungarian soil marked the end of his second and final attempt to reclaim the Austro-Hungarian crown he relinquished in the chaos of the end of the First World War. He was ushered aboard the HMS Glowworm, a British gunship built on another river, the Clyde in Glasgow, and carried away southwards, into exile, aged only 35. He died the following year. But his young son, Otto von Habsburg, lived until 2011, and contributed to the reunification of Europe after the collapse of Communism. 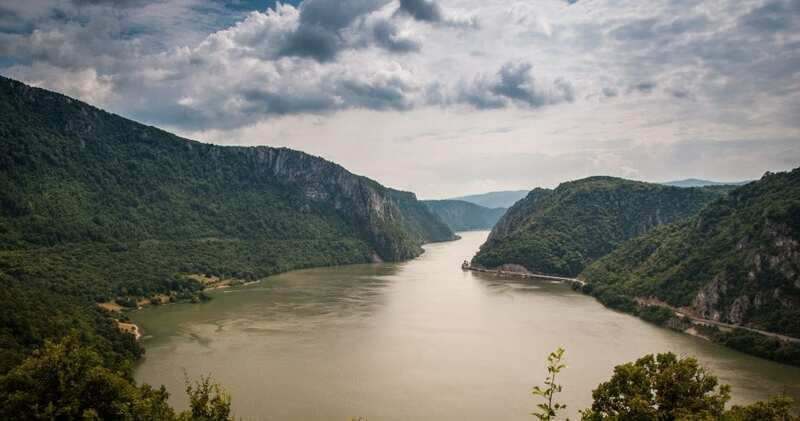 The Danube drains 19 countries, from Poland to Albania, Switzerland to Ukraine, and brushes through 10, to carry its waters, plastic bottles, nitrates and untreated sewage toward the Black Sea. European Union structural funds have improved sewage treatment in cities the whole length of the river – one of the great, unsung contributions of Brussels to the quality of life. The giant reed beds of the Danube delta in Romania, the biggest in the world, filter the Danube waters before they reach the Black Sea. The traffic on the Danube is just one-tenth of that on the Rhine. Over a 1,000 ships push or pull barges up and down river, many fewer than in the Communist era, or under the monarchy. At times the river can seem empty, abandoned to the fish and the birds, and the melancholy, which the Italian writer Claudio Magris recorded on every page of his own tome on the river. But it is also a youthful, playful, forgetful river. Young women practice yoga under the bridges of Vienna. Youngsters drink wine from bottles and play guitars on the graceful green curves of Freedom Bridge in Budapest, as the sun sinks behind the Buda hills. Starry-eyed youth attend the Exit festival on the slopes of Petrovaradin in Novi Sad in Serbia, gazing down at bridges rebuilt since NATO smashed them to smithereens with cruise missiles in the spring of 1999. 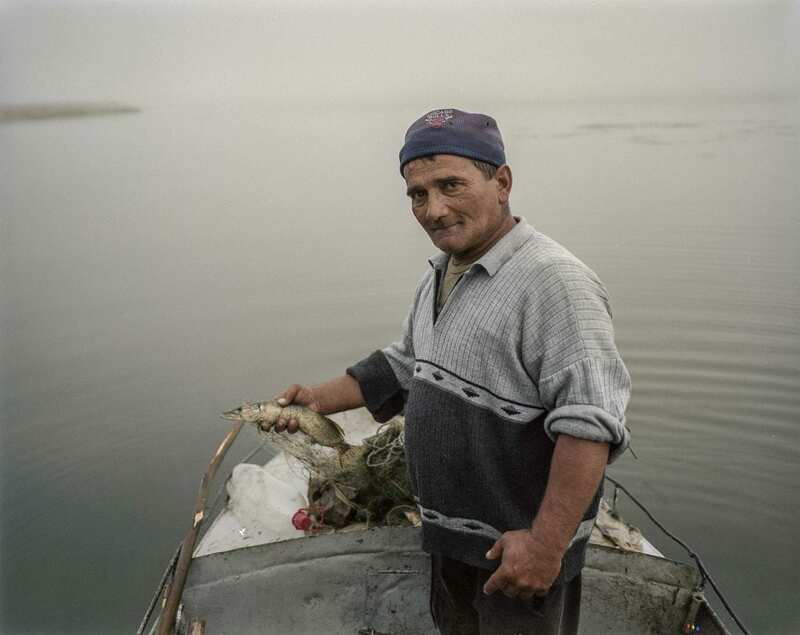 In the Danube delta in Romania, cigarette smugglers from Moldova or Ukraine, their fiberglass hulls barely touching the water, dodge the speedboats of the overstretched Romanian border police. Beside the TV tower in Galati, there is a meadow filled with boats and vehicles seized by police after illicit cigarettes were found hidden on board. The cigarettes are stored in a warehouse nearby, awaiting a place on the bonfire. The packets are stacked to the roof, with “genuine” brand names like Marlboro and Kent, produced legally in Ukraine, where taxes on tobacco are low. But there are also unusual names. My favorite is St. George. In the next room are heaps of green fishing nets, like mermaid’s frocks, confiscated from poachers either because the mesh was too small, or because they were caught fishing in the spawning season. Civilization often comes from the southeast in the Danube lands. In 6,000 BC, when agriculturalists from Anatolia crossed the narrow strip of land into what is now Bulgaria and progressed upriver founding settlements and civilizations, they brought with them cows, which mated with the wild auroch bulls of the lower Danube. They also brought knowledge of crops and metallurgy, sheepskins full of grain and tools with which to work the land. In the Museum of the Lower Danube at Calarasi in Romania you can see reconstructions of the kilns with which they heated the green-brown rocks of the Balkans and Carpathians to 1,100 degrees Celsius, to release their precious copper. This was turned into hoes, spears, shields and exquisite jewelry, and can be admired in museums from Tulcea, Romania, to Vienna. Civilizations known today as Gumelnitsa-Karanovo, Tripol’ye-Cucuteni, Hamangia and Vinca grew up between the Danube and the Dnieper. The largest towns boasted 10,000 inhabitants, living in two-story houses, in 4,000 BC, five hundred years before the foundation of the Sumerian states on the Tigris and Euphrates in Mesopotamia. There is even some evidence to suggest that the peoples of the Danube had their own script. In an age before roads and tracks, natural and man-made treasures were traded far and wide up the Danube. Beautiful translucent spiny-oyster shells from the Aegean, spondylus gaederopus, shaped into exquisite wristbands and necklaces have been found in graves as far north as Paris. They provided a memory of sunlight or moonlight to guide departed princes and princesses to the safety of the next world. Even before gold was won from the rivers and the rich seams of the Carpathians, salt was of greater value – to preserve the meat of red deer hunted in the forests, or the fish taken from the rivers, and traded long distances up- and down stream. Female, often pregnant, figurines from the same era, have been interpreted as evidence that the civilizations of the lower and middle Danube were matriarchal. More recent archaeologists prefer to regard them as miniatures, playthings or teaching tools for children and midwives. The ancient Greeks called the Danube “The Ister,” and Greeks from Miletus on the shore of Asia Minor set up colonies around the Black Sea coast. The Danube strained even Herodotus’ encyclopedic knowledge. The Romans advanced on the Danube to make it the eastern boundary of their empire in the age of Caesar Augustus, 27 BC to 14 AD. Recent research suggests that the sites of the forts they built on the Danube shore all the way to the Black Sea were not just chosen for their defensive possibilities. According to the Romanian researchers Nicolae Bacalbașa and his pupil Radu Suciu, the forts were often located close to the spawning grounds of the beluga sturgeon. In those days, the caviar carried by these giant fish, which grow up to be 4 meters long, was poor man’s food, and the commanders had a whole garrison to feed. A single fish can carry 80 kg of caviar, which fetches up to $10,000 a kilo. In the Naschmarkt in Vienna, I counted 16 types of caviar in the fish stalls, but the charcoal-gray eggs of the beluga sturgeon, the most prized of all, came not from the Danube, but from the Caspian Sea. Sturgeon fishing in the lower Danube, once the mainstay of the communities on its shores, has been banned since 2000 in Ukraine, 2006 in Romania and 2011 in Bulgaria. Man-made interventions like the hydroelectric dams at the Iron Gates, built in 1964-72 and 1977-84, and over-fishing had driven some species of sturgeon to the brink of extinction. The Danube is a river of human, as well as fish and bird migrations. On one wall of the remarkable Donauschwab museum in Ulm, the river is represented in brilliant blue light, like a flash of lightning on a dark sky, forking at the Danube bend at Visegrád in Hungary. From the early 1700s to the 1780s, some 400,000 Germans boarded Zille – flat-bottomed barges also known as Ulm-boxes – to travel downriver to resettle Hungarian lands left almost empty by disease and centuries of wars against Turkish armies. They left behind an overpopulated Germany, a shortage of land, and in many cases, dire poverty and an uncertain future. And they, too, were tempted to migrate by the envoys of Empress Maria Theresia, with promises of houses and generous grants of land. The reality when they arrived – as for many migrants and refugees drawn to Europe today – was often rather different. The Donauschwaben (Danube Swabians), as they were known collectively, though they actually came from many parts of southern and central Germany, settled in six different areas of historic Hungary: the Hungarian middle-uplands – between the Danube at Budapest and Lake Balaton; Slavonia – south of the Drava River in what is now Croatia; the Banat around Timisoara; Bacska – on either side of what is now the Hungary-Serbia border; “Swabian Turkey” around Pécs; and Szatmar, around what is now the Romanian city of Satu Mare. Their hard work, and the innovations in agriculture and urban planning, much enriched the country they came to, and made an important contribution to the multicultural quality of Austro-Hungary. Tragedy struck the communities when, from 1946 to 1948, Hungary’s Soviet occupiers, backed by both the Hungarian Communist Party and the National Peasant Party, demanded their expulsion. Some had undoubtedly collaborated with the Nazis during and before the occupation of Hungary from March to October 1944. But there was an ulterior motive. Land reform was high on the political agenda, and the Swabians possessed some of the best lands, after two centuries of unstinting work. A total of 239,000 Germans were expelled from Hungary – 170,000 to the U.S. zone in Germany, 54,000 to the Soviet zone and 15,000 to Austria. Some 11,000 ethnic German civilians died in the process. Some ended up in the same quiet villages in Bavaria and Baden-Württemberg their ancestors had left with such hopes 200 years earlier. Thanks to the painstaking work of the museum in Ulm, Germany, many tales of the ex-Danube Swabians have been collected. Under Communism, shipping on the Danube recovered some of its earlier glory. Grain from Hungary, Serbia and Romania found its way upriver to the markets of western Europe for valuable hard currency, or downriver to the container ships in Constanta, to be shipped all over the world. Barges brought iron ore to the steel mills of Silistra and Dunaújváros, and bauxite to the processing plant of Tulcea. But from the fourth, blood. Environmental protesters on the River Danube played an important, rarely acknowledged role in the collapse of Communism in the 1980s. In Hungary, the Danube Circle was an underground group founded in 1983 to oppose the Soviet-inspired 1977 project of Czechoslovakia and Hungary to build the Gabčíkovo-Nagymaros hydroelectric project on the Danube. Ecologically minded youth had successfully stopped a similar project on the Danube at Hainburg in Austria in the early 1980s. Fear of the destruction of one of the most beautiful places on the river, the sharp bend between Visegrád and Nagymaros, spurred Hungarians to take to the streets. In Bulgaria, tens of thousands protested at Ruse against the clouds of pollution blown by the prevailing wind across the Danube from the factories of Giurgiu, on the Romanian bank. Their movement, Ecoglasnost, was soon transformed into a protest movement against the Communist regime as a whole. As in Hungary, East Germany, Poland and Czechoslovakia, concern for the environment politicized people and empowered them to oppose polluting industries and dangerous projects. Since the return of capitalism to the middle and lower Danube in 1990, there has been a tension, sometimes a conflict, between environmentalists trying to protect what is left of the wilderness on the river, and engineers and shipping companies trying to further regulate and exploit it. Half the original Gabčíkovo-Nagymaros project was completed by Slovakia in 1992, while the Hungarians abandoned their plans to build a second dam at Nagymaros. Up to 90 percent of the flow of the Danube was diverted into an artificial canal, which runs for 30 km in Slovakia, leaving only a stream in the old bed. Floods on the Danube are seen as disasters by political leaders, and as natural events by ecologists. In Austria, projects to restore ox-bows, and build fish bypasses, to allow fish to breed again, and migrate up and downstream, promise to restore fish stocks. At the same time, planned new dams on the Sava, Drava and Murau threaten remaining wild stretches of the rivers. In Romania, a project to build fish-lifts in the Iron Gates dams, modeled on those on the Mississippi in the US, has not yet been realized. These could one day allow sturgeon to migrate all the way upriver as far as Slovakia. Beside the Danube in the Donau-Auen national park east of Vienna, I walked in woods echoing on all sides with the hammering of woodpeckers – like a carpenter’s workshop. Georg Frank, the director of the park, took me to see one of his prize trees – a black poplar. This species can only survive if its roots are regularly flooded. It’s one of the oldest trees in the forest and can still be found here, thanks to the activists who stopped the Hainburg dam by chaining themselves among the branches of the trees. More than 110,000 people contributed to buying the land and establishing the park here. On the shore, Georg introduced me to Josef Steiner, the chief forester in the park. Before the park was created in 1996, his job was to cut down trees. In the park, his job was to remove the barriers, and let the river flood the forest again. The question of the color of the Danube has been debated ever since Johann Strauss composed his waltz By the Beautiful Blue Danube in 1866. On my long journey from the white lighthouse in Sulina – kilometer zero – to the spring in the gardens of the Fürstenberg palace in Donaueschingen, I saw many colors in the river: green, blue, brown, red, silver and gold. In Bulgarian folklore, it is known mysteriously as “the white Danube.” Hungarians call one of its tributaries “the blonde Tisza,” a tribute to the maidens who sunbathe on its beaches, or the sheer quantity of sand in its waters. But hidden among the reed banks in the Danube delta in Romania is an old fishing village called Karaorman, which boasts a glade of ancient oak trees, including one known as “the kneeling oak,” because of the way it seems to rest its huge weight on sturdy branches reaching down to the ground. The name “Karaorman” means “the black forest” in Turkish. The magnificent multicolored Danube, then, flows from one black forest to another.